The Devil Is A Part-Timer Season 2 is in waiting list since the season 1 was ended back in June 2013. However, fans currently don’t know exactly when the next season of their favorite series will arrive. In fact, they don’t even know whether there will be another season or not. We will talk about The Devil Is A Part-Timer season 2, but before that, let’s take a short recap of the season 1. 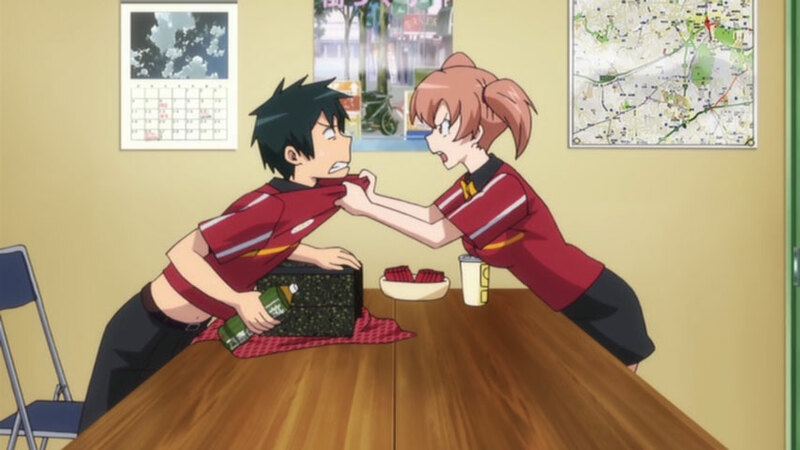 The Devil Is A Part-Timer season 1 started back in April 2013. The first episode was titled as “The Devil Arrives in Sasazuka” and was aired on April 4, 2013. The last episode, on the other hand, was titled as “The Devil and the Hero Do Some Honest Hard Work” and was aired on June 27, 2013. The rest of the episodes were aired periodically during the time period between them. FUNimation Entertainment later acquired the license to dub the series into English. The company released the dubbed version of the series on July 22, 2014. Anthony Bowling, Aaron Dismuke, and Alex Moore were hired to lend their voices to Shiro Ashiya/Alciel, Hanzo Urushihara/Lucifer and Suzuno Kamazuki in the English dub version respectively. Felecia Angelle and Tia Ballard were later hired to voice Emi Yusa/Emilia and Chiho Sasaki. The dubbed version of the series was also made available on Blu-ray/DVD with a price tag of $64.98. A special edition was also introduced, which had a price tag of US$69.98. Along with them, there were some other characters which included Rika Suzuki, Mayumi Kisaki, Emeralda Etuva, Albertio Ende, Mitsuki Sarue and many more. So, that was enough for a brief introduction to ‘The Devil Is A Part-Timer’ and now we will talk about the news, rumors, and possible release date expectations for the season 2. So, here is what we know so far, and being a fan of the show, you should also know the current status of this popular Anime show. ‘The Devil Is A Part-Timer’ Season 2 Will Release or Not? Until today, a total of 16 light novel series have been released, but only one anime season has been made, which consists of 13 episodes. It has been more than three years since the first season of the series aired, but there is still no official word about ‘The Devil Is A Part-Timer’ season 2 of the show. As the first season of the series was a big hit, many fans believe that there will be a second season. However, some of them are starting to believe that there won’t be another season as the studio behind the series has been quiet about it. The animation studio behind The Devil Is A Part Timer, White Fox has been quiet about season 2 for some time now. Currently, the studio is managing an ongoing anime, and they are already working on a series which is scheduled to release this year. Along with this, they have two other projects which are currently listed as TBA. Judging from their load of work, they don’t have any time to focus on the second season of The Devil Is A Part-Timer at the moment, so fans shouldn’t expect to see it before 2018. But this doesn’t mean that there won’t be another season as a cast member did showcase her desire for a second season. The voice actress who lends her voice to Emi Yusa in The Devil Is A Part-Timer season 1, Hikasa Yoko mentioned on her blog that all of the cast got together for a party and they all watched the first season of the show. She further added that they all enjoyed the series and that they felt disappointed after realizing that there isn’t a second season. This didn’t provide any major details, but it kind of confirmed that the cast is willing to go for a second season. Although we currently don’t know exactly when the next season of The Devil Is A Part-Timer will arrive, but we should still be glad because the discussion about its release date is not dead. 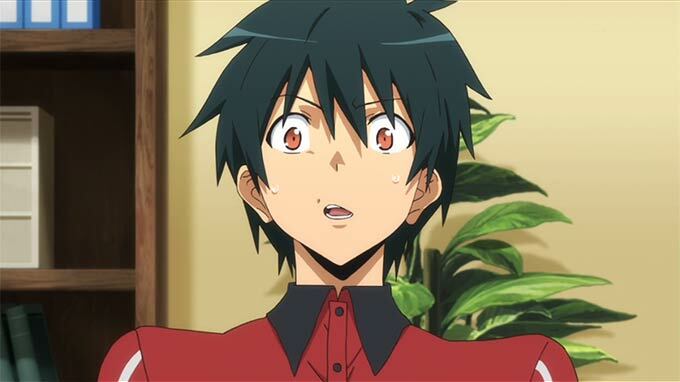 The author of Hataraku Maou-sama!, or The Devil Is A Part-Timer light novel series, Satoshi Wagahara recently decided to talk about season 2 of the highly popular anime series. On twitter, the author claimed that he knows the frustration of fans and how all of them are eagerly waiting to know the release date of the next season. He further added that aside from Twitter and autographs sessions where he is continuously asked about the released date of The Devil Is A Part-Timer season 2, his close friends too want to know the release date. Sadly, his response is “I don’t know,” every time. In addition to this, the author claimed that he is a huge fan of The Devil Is A Part-Timer anime series, but asking him again and again about the next season won’t make it come out soon, it will only annoy him. He claimed that the studio behind the series is aware of the fact that fans are eagerly waiting for the next season to arrive, but the decision of announcing the release date of The Devil Is A Part-Timer season 2 is out of his hands. However, he assured everyone that he will keep working on the The Devil Is A Part-Timer light novels so fans don’t lose interest in it. As for now, we currently don’t know exactly when ‘The Devil Is A Part-Timer’ season 2 will release, but we shouldn’t expect it to get aired before 2018. 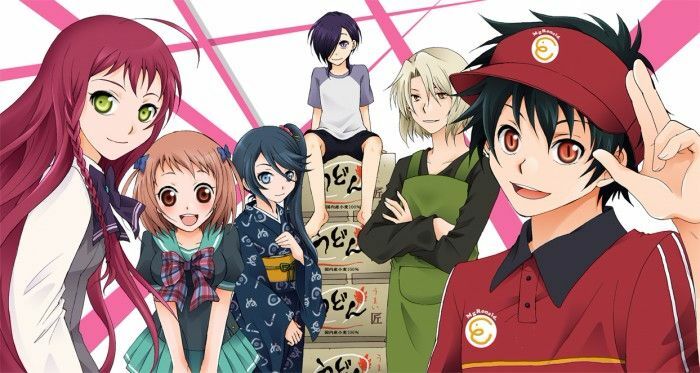 At the start of 2015, it was announced that there would be a continuation of The Devil Is A Part Timer, but there has been no official word about it since then. Let us know what you think about the future of ‘The Devil Is A Part-Timer’ season 2 in the comments below.